KAREN VIBERT-KENNEDY/Sun-Gazette Capt. Jody Miller, second from left, and Patrolman Zachary Saylor, far right, of the Williamsport Bureau of Police, chat with Rob Fisher, left, and wife Karen Fisher during “Coffee with a Cop” at Alabaster in the city on Tuesday. Police work isn’t just sirens and responses and putting away the bad people, it’s also about community outreach and getting to know the public. Williamsport Bureau of Police Capt. Jody Miller spent part of Tuesday morning at Alabaster Coffee Roaster & Tea Co., 400 Pine St., chatting to patrons. “This is all about relation building,” Miller said as he paused from talking to some people. Making themselves known to folks can be especially beneficial for police, especially when the time comes when they have to respond to their problems. It comes down to learning about each other and building up a mutual respect, he said. Bob Fisher and his wife, Karen, told the Sun-Gazette they came away with a positive experience speaking with Miller. Fisher, a retired Pennsylvania College of Technology administrator who resides in Florida, said too often police receive bad press. But he was quick to add that police officers are regular people who really are there to help others. Reaching out to the community, he noted, is a good policy for police. Emma Hess and her mother, Jan, of Montoursville, also were in the coffee shop and had a chance to speak with Miller. “I think it’s very beneficial that they (police) are getting out for us,” Emma said. She said Miller seemed to convey to them a comfortable and confident demeanor. Jan said Miller demonstrated that police are just regular people — like everyone else. “We talked about families,” she said. She said he helped further dismiss any fears and misconceptions that police can’t be trusted. Also chatting with patrons were Capt. Don Mayes and Police Officer Zack Saylor. 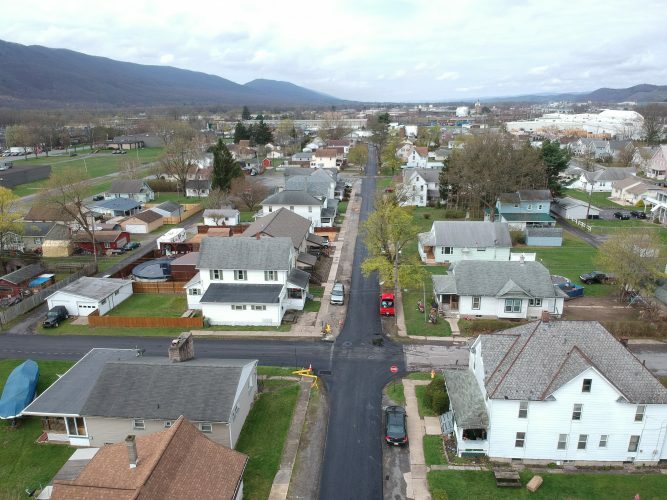 Overall, the community outreach served as a connection, Miller said. 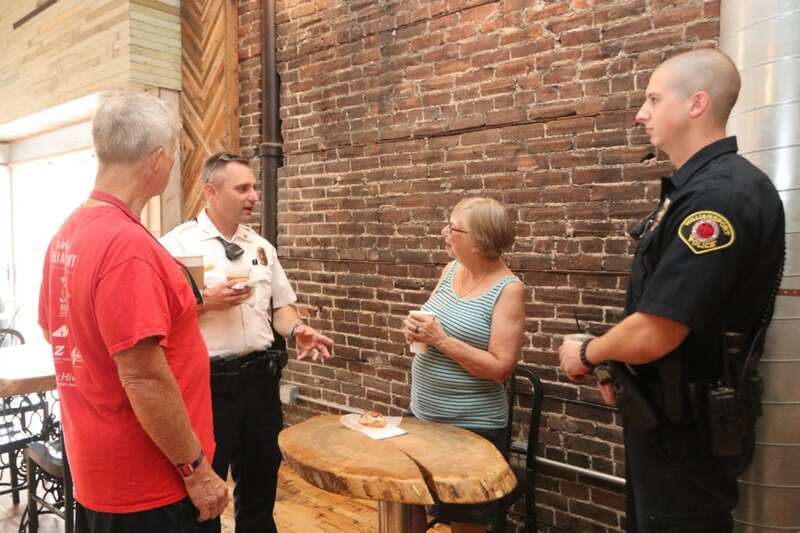 Over the summer, city police have met with the public at different venues as part of the Coffee With a Cop program in an effort build a good relationship with the public.